If someone went to your employer and said you were discriminating against them, wouldn’t you hold a grudge? Wouldn’t you want to get them fired, and if you couldn’t do that, at least make their lives more difficult? Of course you would (and if you honestly wouldn’t even want to, see your parish priest about nomination for sainthood and/or enjoy nirvana). That is why there is more retaliation going on in American workplaces than there is discrimination (and there is plenty of that going on too). It is illegal under federal law (Title VII § 704) to retaliate against an employee for complaining about workplace discrimination. That applies to everyone from the employee’s supervisor all the way up the food chain to the CEO. But people being what they are, they retaliate anyway. There are many time-honored forms of illegal retaliation, among them firing, demoting, transferring, changing work schedules, cutting bonuses, assigning lame accounts or thorny clients, and general day-to-day hassling. In the past what was and wasn’t illegal retaliation was unclear, partly because the federal appellate courts disagreed with each other about the definition, and partly because different federal courts within each circuit (i.e. group of states) agreed with each other about how to word the rule against retaliation but disagreed about what it meant. Time was that in many circuits you could get away with retaliation if you did it outside the workplace. That left the door open for prank calls, letting air out of tires, toilet papering, and any other non-work-related harassment that was short of a misdemeanor. In some circuits, you could transfer an employee to a distant office or put the employee on the graveyard shift, as long as what you did was not a “materially adverse change in the terms and conditions” of employment. In yet other circuits the line you couldn’t cross was the “ultimate employment decision,” meaning you couldn’t fire, cut pay, demote, or take other actions of similar severity, but anything less was okay. Then there were the circuits that said illegal retaliation encompassed anything that was likely to dissuade “a reasonable worker” from complaining about discrimination. Those circuits won when the Supreme Court resolved the whole mess a few years ago in a case called Burlington Northern v. White, which closed the door to retaliation outside the workplace. In Burlington the employee, Sheila White, filed suit against her employer, Burlington Northern, for discrimination and retaliation. The retaliation she alleged consisted of changing her job responsibilities and suspending her for 37 days without pay, though the company later paid her for those 37 days. The Supreme Court decided that even though the change in her job responsibilities was not a demotion, and even though she ultimately received all of her pay, she had still suffered illegal retaliation. The change in job responsibilities was a change from the relatively clean job of operating a forklift to the much dirtier and more arduous tasks of cleaning up railroad rights of way and carrying heavy loads back and forth. And the 37 days she didn’t receive any pay included Christmas; there was no money for gifts in the White household that year. The Supreme Court said that a reasonable employee could easily look at what Burlington Northern did to White and decide that reporting discrimination to this employer just wasn’t worth it. So, problem solved – everyone across the country now knows that even actions unrelated to the workplace can constitute retaliation. If only. The problem with our courts is not judicial activism, but the opposite. I don’t know if it is a question of effort, ability, or just not giving a damn, but somehow courts managed to mess up the Supreme Court’s clear ruling when they tried to apply it in their own cases. One example is Hicks v. Baines, a case in the Second Circuit (which encompasses Connecticut, New York, and Vermont). The issue that tripped up the Hicks court had to do with what is called the prima facie case, which just means that there is a certain minimum amount of evidence or argument that a plaintiff has to provide just to stay in court. Satisfying that minimum often doesn’t take much, but a plaintiff has to know what exactly to show in order to keep a case alive. Fortunately for the plaintiffs in Hicks, the retaliatory actions that they alleged were all employment-related, so the Second Circuit’s bizarre mistake did not affect the outcome of their case (for the record, they won part of it and lost part of it). The important takeaway from Burlington: any retaliation for complaining about workplace discrimination is illegal, whether it is work-related or not, as long as it would dissuade a reasonable employee from complaining about discrimination. The important takeaway from Hicks: it’s not just judges’ political inclinations that you have to watch out for. Take a look at their GPAs too. More than 100 nurses, wearing surgical masks and carrying signs that read “Nurses and Patients Demand Swine Flu Protection,” rallied Wednesday at the University of California at San Francisco (UCSF) Medical Center to spotlight unsafe practices in treating H1N1 (swine) flu patients and protecting health care workers and other patients. The nurses, members of the California Nurses Association/National Nurses Organizing Committee (CNA/NNOC), also protested the recent firing by UCSF of an RN who blew the whistle on unsafe patient care involving swine flu at the facility. A recent study by CNA/NNOC of California hospitals uncovered widespread problems, including systemic trouble with safety gear for nurses and infection control procedures for patients, as well as an emerging pattern of retribution against nurses who speak out about unsafe care. Hospitals across California—and possibly the entire country—are putting registered nurses and other front-line caregivers at risk by inadequately preparing for this pandemic. If hospitals do not take urgent precautions to reverse this lack of preparation, we may see our health care facilities become vectors for infections. That is especially worrisome for hospital patients who already have compromised immune systems, and our nurses who may be unable to respond because of their own sickness. The nurse who was fired for speaking out, says CNA/NNOC, recently started working at the facility when she was exposed to the virus in June. While still suffering from the infection, she protested to management about inadequate hospital safety standards that she felt contributed to her illness. Ultimately, the RN was fired in, what CNA/NNOC calls, retaliation against a swine flu whistle-blower. Earlier this summer, the World Health Organization (WHO) declared the virus a Phase-6 pandemic, its highest level of warning. WHO reported the death toll at 1,154, in data published this week. What the Union Can Do: Preparing the Workplace for Pandemic Flu. Mike Hall: I’m a former West Virginia newspaper reporter, staff writer for the United Mine Workers Journal and managing editor of the Seafarers Log. I came to the AFL- CIO in 1989 and have written for several federation publications, focusing on legislation and politics, especially grassroots mobilization and workplace safety. When my collar was still blue, I carried union cards from the Oil, Chemical and Atomic Workers, American Flint Glass Workers and Teamsters for jobs in a chemical plant, a mining equipment manufacturing plant and a warehouse. I’ve also worked as roadie for a small-time country-rock band, sold my blood plasma and played an occasional game of poker to help pay the rent. You may have seen me at one of several hundred Grateful Dead shows. I was the one with longhair and the tie-dye. Still have the shirts, lost the hair. This article originally appeared on the AFL-CIO Blog on August 7, 2009 and is reprinted here with permission from the author. There’s even a term for it: DOOCED — which means getting fired because of something that you wrote in your weblog. Now we have a new case on the subject from the Ninth Circuit Court of Appeals. In Richerson v. Beckon, the Court ruled against a schoolteacher who claimed constitutional protection for personal speech on her blog. Tara Richerson worked as a curriculum specialist and institutional coach for the Central Kitsap School District in Silverdale, Washington. Richerson wrote a blog which, according to the opinion, contained highly personal and vituperative comments about her employers, union representatives, and fellow teachers. You don’t have to be a lawyer to sense that this blog was going to getting her into trouble. Sure enough, when the blog came to light, Jeanne Beckon, the Director of Human Resources received complaints and several individuals refused to work with Richerson. As a result, Beckon transferred Richerson out of her coaching position and into a classroom teaching position, claiming that Richerson’s blog fatally undermined her ability to enter into trusting relationships as an instructional coach. Richerson sued. Richerson lost her case in the federal district court and the Ninth Circuit Court of Appeals affirmed. It is abundantly clear from undisputed evidence in the record that Richerson’s speech had a significantly deleterious effect [on the performance of her duties]. [Her supervisor] provided testimony, not controverted by Richerson, indicating that several individuals refused to work with Richerson in the future. Common sense indicates that few teachers would expect that they could enter into a confidential and trusting relationship with Richerson after reading her blog. [Her supervisor] need only make a ‘reasonable prediction’ that such disruption would occur; she need not demonstrate that it has occurred or will occur to a certainty… . Accordingly, the district court did not err in concluding that the legitimate interests of the School District outweighed Richerson’s First Amendment interests in not being transferred because of her speech. I want to suggest that the Ninth Circuit is right on the current state of public employee speech law, but also want to point out that the most disruptive public employee speech gets the least amount of protection under the Pickering framework. It is almost like we have constitutionalized the heckler’s veto in this area of the law and that doesn’t make a whole lot of sense. So what would I do instead, you ask? I would prefer a test which places a heavier thumb on the balance on the side of the employee, as long as the employee is talking upon a matter of public concern, which involves the heart of the First Amendment’s protection in the first place. Under this balance, I would let Richerson yap away and let other employees drown her out with their own more sensible counter-arguments. 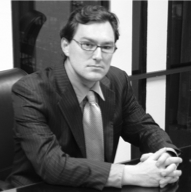 For those who may be interested, Professor Secunda wrote an excellent law review article: Blogging While(Publicly)Employed: Some First Amendment Implications which can be found at his post on Workplace Prof Blog. Of course only government employees have limited First Amendment protections for blogging about work. It may come as a great surprise to many that private employees have no Constitutional free speech protection at work. But, according to Professor Secunda, private employees may be protected under Section 7of the National Labor Relations Act. (NLRA). Under the NLRA employees are free to engage in concerted activities in the workplace for their “mutual aid and protection.” Therefore, according to the argument, when employees are blogging about common workplace issues, they are engaged in protected, concerted activity under the Act. It sounds like a very good argument to me. In addition some states have off-duty conduct statutes which generally prohibit employers from terminating employees for engaging in lawful conduct outside of the workplace. Some argue that these statutes may protect bloggers(depending in part on what they are blogging about). Other employee bloggers have argued for protection under common law tort theories such as invasion of privacy. Many employers, however, have issued policies making sure that there is no expectation of privacy on the part of the employee with respect to blogging at work. In sum, blogging at work, and blogging about work, are really two different topics. Employee rights may differ depending on where employees are doing the blogging — on company time, or on private time — and what they are blogging about. These concerns can and should be addressed by appropriate corporate policies which protect legitimate interests without demoralizing employees or creating a repressive workplace environment. In the meantime, since the law is quite undeveloped and the waters uncharted in this area, both employers and employees need to use common sense and tread carefully. Ellen Simon: Ellen Simon is recognized as one of the foremost employment and civil rights lawyers in the United States. She has been listed in the National Law Journal as one of the nation’s leading litigators. Ms. Simon has been quoted often in local and national news media and is a regular guest on television and radio, including appearances on Court TV. Ellen has been listed as one of The Best Lawyers in America for her landmark work representing individuals in precedent-setting cases. She also received regional and national attention for winning a record $30.7 million verdict in an age-discrimination case; the largest of its kind in U.S. history. Ellen has served as an adjunct professor of employment law and is an experienced and popular orator. Ellen is Past-Chair of the Employment Rights Section of the Association of Trial Lawyers of America and is honored to be a fellow of the International Society of Barristers and American Board of Trial Advocates. In additional to work as a legal analyst, she currently acts as co-counsel on individual employment cases, is available as an expert witness on employment matters and offers consulting services on sound employment practices, discrimination awareness and prevention, complaint investigation and resolution, and litigation management. Ms. Simon is the owner of the Simon Law Firm, L.P.A., and Of Counsel to McCarthy, Lebit, Crystal & Liffman, a Cleveland, Ohio based law firm. 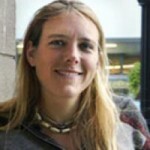 She is also the author of the legal blog, the Employee Rights Post, and her website is www.ellensimon.net. Ellen has two children and lives with her husband in Sedona, Arizona. This article was originally posted on Ellen Simon’s Employee Rights Post on July 6th. It is reprinted here with permission from the author. You are currently browsing the archives for the Retaliation category.